An Iron Signal or Saluting Cannon, dated 1744. With tapering multi-stage barrel with raised mouldings and bell-shaped muzzle, the touch hole is centred on a raised lip, profusely cut with scrolling foliage around the raised mouldings and with the date ‘ANNO 1744’, plain trunnions, and knob shaped cascabel; on its original iron-mounted wooden carriage, retaining original dark green painted finish, with iron-shop spoked cambered wheels. 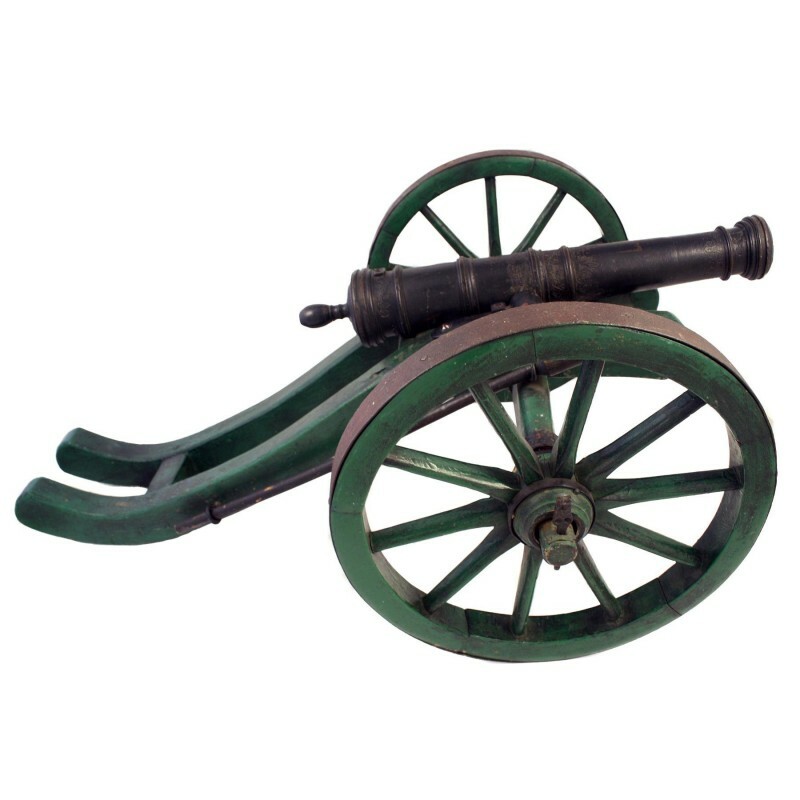 It is exceptionally rare to find a cannon of this type on its original carriage.